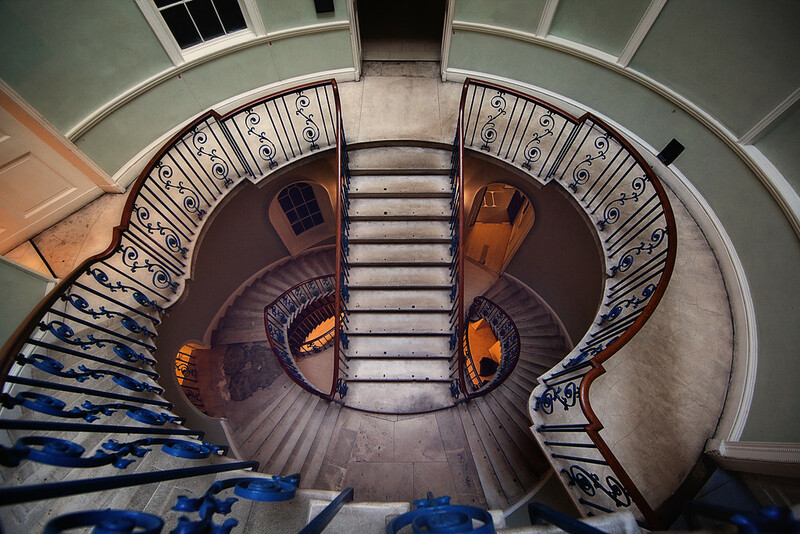 I went staircase crazy over the weekend and wandered around a few particular spots in London taking photos of staircases. During this short outing I returned to Somerset House and attempted once more to take a photo of this, the Nelson Staircase. I’ve been here quite a few times before, but the lighting, the architecture, my mood, my drunkenness – or whatever – has meant I’ve never got a shot I’ve been very happy with. It’s a lovely staircase to view, but one that I personally don’t find easy to translate into a decent photo. This is potentially my best effort yet though, I really like the orange light coming in from the lower level.